You are here: Home / Special Guest Blogger / Mark Aiston: How the hell did I present sport to thousands of people on TV each night? 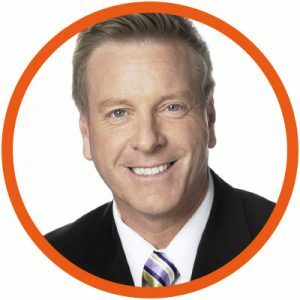 I have been working in the media for a long long time: on the ABC, Network Ten, as a sports presenter and as a radio host on Triple M Adelaide Mix and FiveAA. I have done all of that… while managing major mental health issues. I think back and wonder how the hell did I present sport to thousands of people on TV each night, and I did it without anyone knowing? I very rarely opened up because I felt weak and ashamed for feeling mentally unwell and didn’t know what to do. I have suffered depression most of my life and my mental health issues date back a long way. When I was 6 years old, I remember having a crush on a girl at school and when I found out she didn’t feel the same toward me, I was so devastated I needed time off from school. I found myself in a deep hole… at 6! Looking back now, I realise this was so much more than a feeling of disappointment or rejection; it was the start of my life-long mental health battle. At 14, I started drinking and gambling, two traits which when they get out of control, cause total destruction personally and for those around you. God knows how much money I have lost over the years punting, and how many brain cells I have destroyed with my drinking. I had a couple of breakdowns which were terribly upsetting for me and my family and friends. It’s been hard, sometimes really hard. When you’re mentally unwell, everything is hard work. It can be like towing a bus. Everything is an effort from getting up in the morning, meeting people or preparing lunch. I’m currently doing everything possible to control my two addictions and I deal with this every day of my life. Addictions often work hand in glove with depression. It wasn’t until later in life that I saw a doctor about my mental health and I am an outspoken advocate of the need to talk more openly and honestly about mental health, about depression, anxiety, addiction and post traumatic stress syndrome. Which is exactly what I’m doing on my new radio show, The Mental Health Show. My show and other shows which are shining light on mental illness are extremely important in starting conversations because there is still major stigma surrounding mental health. I can remember being an advocate for beyondblue, 15 years ago, travelling around the state visiting schools and talking to young students about depression. The essence of my message was that it’s ok to talk about how you feel, if you’re not well. Tell someone. The program was particular aimed at young boys. That was 15 years ago, but I am not sure things have changed. It’s about time we dealt with this. There’s still a stigma and it’s bloody annoying. We need to be more open and honest about mental health with ourselves and each other. 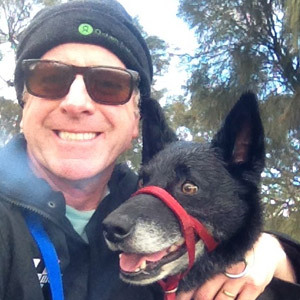 As for me, I have had some great support over the past eight months from my wonderful puppy dog, Jack. I love him so much and he’s helping me focus on getting better and stronger every day.